Textiles from the early medieval period that are occasionally found in excavations are the scarce remains of garments, household fabrics, sails etc. Although several authors have published textile finds from the Netherlands in the past, systematic research of these finds has not been conducted yet. 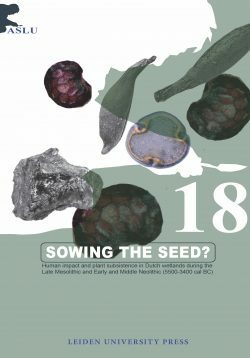 Where the surrounding countries have witnessed a development in which textile archaeology has become a fundamental part of archaeological research, a similar development has been lacking in the Netherlands. As a result our knowledge of the production and use of textiles is mainly derived from the surrounding countries, where more research has been carried out. 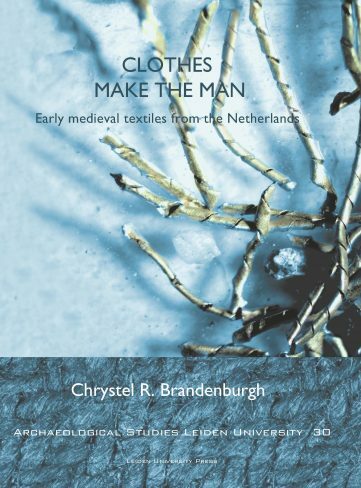 In this book Chrystel Brandenburgh has focused on the use of cloth and clothing in the area now defined as the Netherlands, in the period between 400 and 1000 AD. 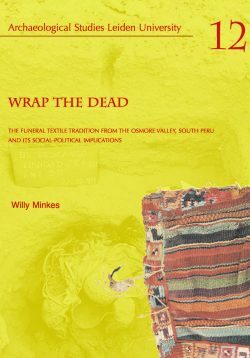 For this purpose textile remains from both settlements and cemeteries have been analysed from different parts of the country. This geographical distribution, the large timespan of the dataset as well as the obvious differences in site context result in a very varied picture of the use of fabrics in this period. Using the textile remains from the Dutch cemeteries it was nevertheless possible to reconstruct the way people were dressed when buried, as well as to establish the differences between cemeteries and groups of individuals within these cemeteries. Moreover, by studying the fabrics from the settlements insight was gained into the production process and techniques used in this period. Chrystel Brandenburgh obtained her degree in archaeology in 1997 at the Faculty of Archaeology of Leiden University. 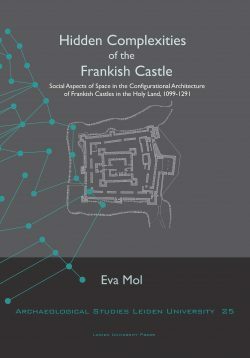 From 2003 onwards she has been working as a municipality archaeologist of Leiden. In 2008 Chrystel registered as a PhD extramural at Leiden University. During subsequent years she combined her job in Leiden with her PhD-research on early medieval textiles from the Netherlands.